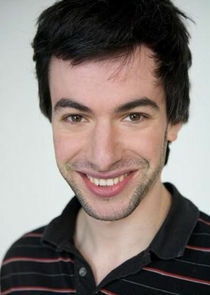 â€œNathan For Youâ€ is a half-hour comedy starring Canadian writer-comedian Nathan Fielder (â€œJon Benjamin Has A Vanâ€, â€œImportant Things with Demetri Martinâ€). Armed with a business degree and drawing from his limited life experiences, Nathan gives advice to real people and struggling businesses each week. Thinking that his business background gives him carte blanche to help real businesses and people in all walks of life, Nathanâ€™s unorthodox approach usually does more harm than good. Nathan is to small businesses what Gordon Ramsay is to floundering restaurants.